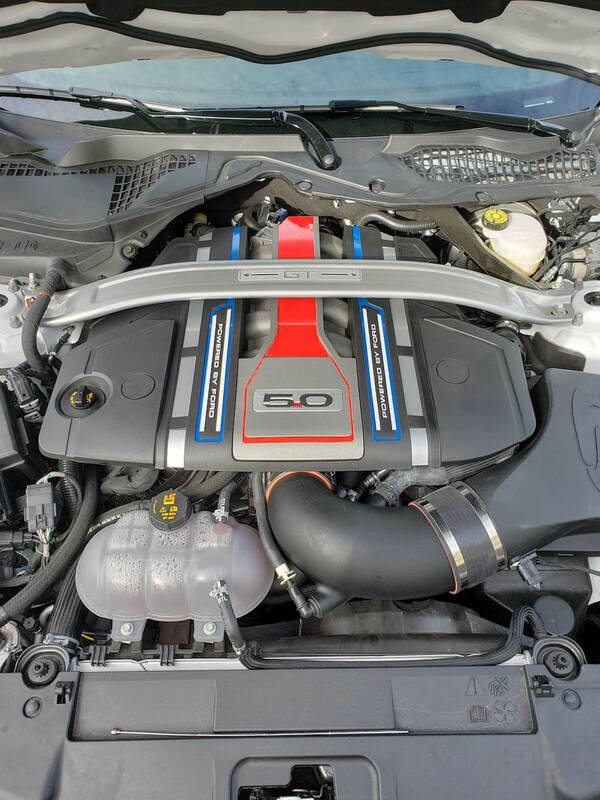 Steeda Autosports, the world's largest aftermarket manufacturer of Ford performance equipment is once again leading the performance market with our Steeda S550 Mustang ProFlow Closed Cold Air Intake 5.0L Power Pack (18-19 GT) and Lund Racing nGaugetuning device package. Horsepower per dollar, Steeda's S550 Mustang GT ProFlow Closed Cold Air Intake is the best choice for stock intake manifold 2015+ Coyote powered Mustangs. 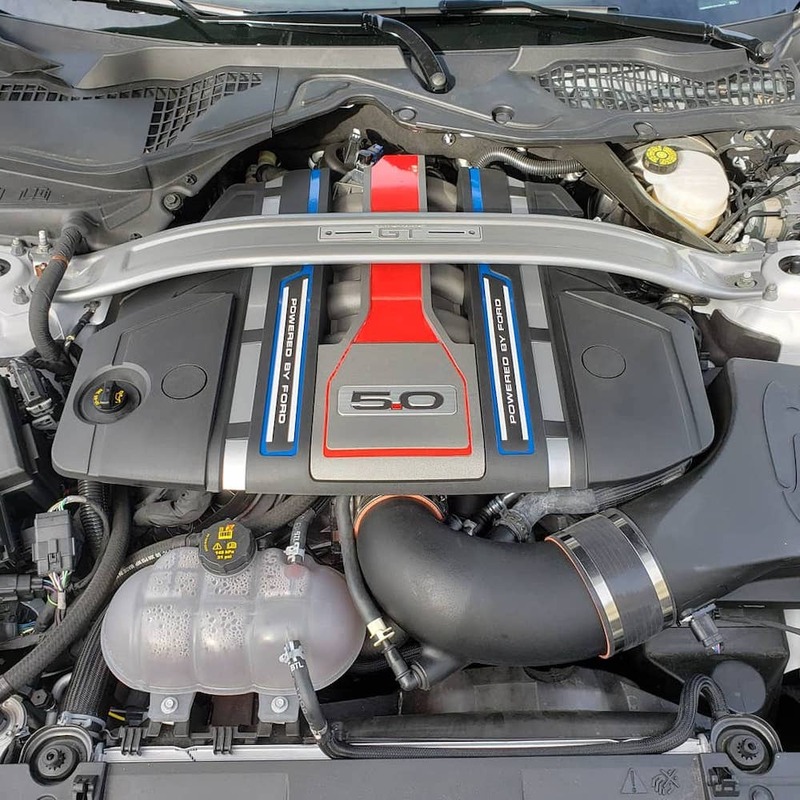 Steeda ProFlow Mustang Cold Air Intake for your S550 opens up the induction system of Ford's 5.0 powerplant and allows it to breathe much more freely than the stock intake system allows, taking your S550 Mustang GT to the highest level of performance. The system comes with an oiled reusable high flow panel filter and a high flow dry filter is available separately. WARNING:Not approved for sale in California or states that require a California E.O. #. This part has been designed and is intended for off-road application only. Installation of this part on a vehicle that is driven on public roads may violate U.S. and Canadian laws and regulations. This product does not support any changes to the emissions systems on the vehicle including but not limited to catalytic converter and EGR deletes. This limited warranty is the only express warranty applicable to Steeda Autosports products. Other rights may arise or vary from state to state in the United States. Steeda is not responsible for any time for which you may lose the use of your vehicle, any inconvenience you might be caused, the loss of your transportation or any part thereof, or any other incidental or consequential damages you may have. With the strategy code, visit our Custom Tune Request Form. Fill out the requested details on your car. Your Custom Steeda Tune will be emailed to you in approximately 3-5 days. Download the tune onto the device, flash your vehicle and enjoy the new performance. I bought this cold air intake with Lund Racing NGAUGE and I can tell you that it fits flawlessly and the combination works great . Lund recommended to run without the restrictor, and without it the size is 130mm the largest on the market by far. I am so pleased with the power I have now.